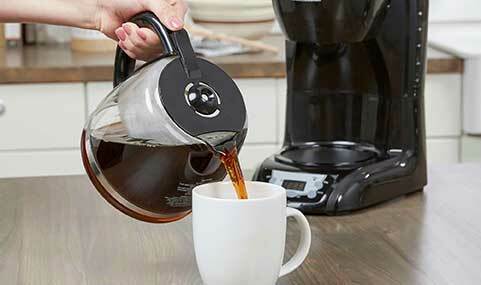 The BLACK+DECKER™ 12-Servings* Programmable Coffeemaker is a classic. It delivers a great cup of coffee with ease, thanks to a handy range of features including QuickTouch™ programming, Sneak-A-Cup™, and our optimal brewing temperature. Plus, cleanup is a snap with the removable filter basket and easy-clean control panel. 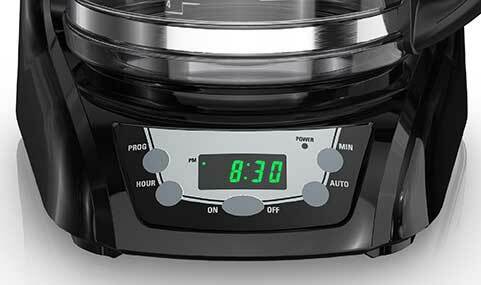 The digital clock includes a 24-hour programmable timer that can make a fresh cup whenever you need it. Water is heated to the perfect brewing temperature for ideal flavor results. 12-Servings* Programmable Coffeemaker, Black is rated 3.0 out of 5 by 135. Rated 3 out of 5 by osnapitztom from Was great at start Coffee maker worked great in the beginning but just abrubptly stopped working yesterday. Rated 5 out of 5 by Nanabanana from My darth vader coffee maker I love this coffee maker. But last week the button under the brew basket came off, and the spring. The little rubber ring almost went down the sink drain. It took me a little while to figure out how to reassemble it. I'd like to know if i can order some of these rings to keep on hand. Rated 2 out of 5 by JJ74 from Worked fine for a year Had no complaints until it abruptly quit working. I guess they don't make them like they used to. I bought a B&D coffee maker and a toaster oven a year ago, and they're both duds. CMaker died and the timer function on the toaster never really worked correctly. It burns everything unless you watch it closely. (And yes i turn it past 10 to set timer)Think I will go to good will and look for a older model. Rated 4 out of 5 by Nanner from Fast Brew We love how fast our coffee is made with this machine but, Help! Today our coffee was not made, cold carafe, and water still in holding tank. I unplugged it and went through the usual steps and thought it might reset itself but nope! Its only 10 months old! Im looking for warranty info please. Rated 2 out of 5 by CoffeeLover1981 from Clock Doesn't Work I bought this coffee maker not even a month ago and I set it to make at 6am and it's making coffee in the middle of the night. It will start flashing 12:00 randomly as well. The clock has issues, but it makes coffee really well! Rated 5 out of 5 by SweetpeaLori from Makes My Coffee Routine Even Easier I received this as a sample to test. I've been using it for quite some time now. It is a very nice coffee maker. I love that I can set it to have my coffee done by the time I'm done getting my children up and ready for school. It's the perfect addition to my appliances. It's also the perfect match for me and my morning coffee routine. Rated 1 out of 5 by Heidar from It worked great, but no heat anymore!!! I liked this coffee maker, had it for several months maybe a year! This evening I made coffee, and came back after half an hour... to my surprise it was COLD!! All the lights were working and are working fine, but does not warm water!I had recommended to my friends, but now I am disappointed!! !Would like Black and Decker to get it fixed please. Rated 5 out of 5 by Cawo from Works great! Love the coffee maker. Is there any way to extend the time to keep it warm? 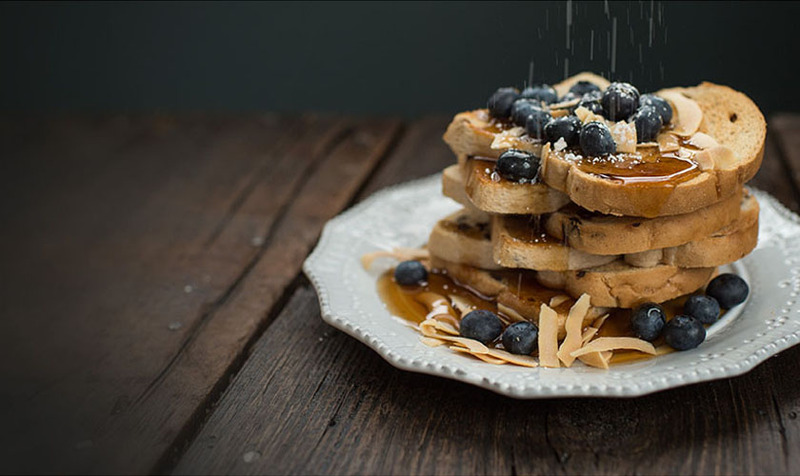 Rated 5 out of 5 by fyrdog911 from Great Features I received the Black and Decker 12 cup coffeemaker awhile back, and I must say that this coffeemaker is a coffee drinkers dream. It has alot of great features from the programmable timer to the instant cup feature. What I mean by the insttant cup feature is that you can get your coffee out of the spout, while it is brewing and it doesn't mess up your brew cycle. Rated 2 out of 5 by Nessa from Worked for awhile.. I purchased because my folks had a older Black and Decker coffee maker..and it worked great. I got it after they pasted to put in our motor home. So I bought one for our new home..it died this morning..it's not even a year old..I'm disappointed.. Rated 1 out of 5 by peterpeterbobeter from Design flaw in hot water system This is my second model, both of which suffered the same failure. In the interior water tank, there is a 90 degree bend in the hot water delivery tube. It swivels to allow the lid to open, thus is a pivoting joint. I've had two of these models fail at the same point. Rated 1 out of 5 by Danielle03 from Disappointment I have had this coffee maker for less than 9 months and it no longer works. It worked efficiently initially, but now it has stopped working completely. Disappointed to have bought a product that did not even last 1 year. Rated 5 out of 5 by CoffeeJunkie from Awesome coffee pot! We've had our coffee pot for about 3 weeks now and I'm absolutely thrilled with it! Yes, we also have a kuerig but sometimes a cup at a time just isn't enough. I love the programmable settings and ease of brew. Rated 5 out of 5 by Frosty89 from 12 Pot shot I was very happy using the Black and Decker 12 Cup programmable coffee maker. It is quick and easy to use and the fact that it is programmable helps shave a few minutes off of my daily routine. I am able to save money and time on my morning coffee. The unit is easy to use as well as clean. Rated 5 out of 5 by chows from Best Brewed Coffee I received the Black and Decker 12-Cup Programmable Coffee Maker to try for free from Spectrum Brands. My first impression of this coffee maker was the compact and durable design. My hubby enjoys the sneak-a-cup feature and I like the washable brew basket. This makes for easy clean up. I recommend this coffee pot if you want a fresh brewed cup of coffee. Rated 5 out of 5 by Southmom from Easy to use for us older folks We really like the Black and Decker 12 Cup Programmable Coffee Maker. You can program it without having to find one of your kids or grandkids to do it for you (you know what I mean if you're older than 50) and it is easy to use. Basic buttons instead of a whole slew of them. It's built smaller than my last 12 cup coffeemaker and takes up less room on the counter which is also a plus. It brewed a good tasting cup of coffee although I recommend running water through at least a couple of brewing cycles before you do coffee in it. I only ran one cycle with water and our first pot of coffee tasted burned. After that though, the coffee was great! My husband and I have one suggestion for the manufacturer. Please make the power button light bigger and brighter. You really have to get right up close and personal with it to see it at all. It's a very faint green color and very small so we are concerned that perhaps something could bump the power button sitting on the counter and accidentally turn it on and we wouldn't notice it. Other than that very small drawback this is an excellent coffeemaker! Rated 5 out of 5 by Clarkj7132 from Programmble coffee I love this Black & Decker programmable coffee pot. It has made a difference in my morning routine. I don't have to worry about making coffee as soon as I get up. The sneak a cup feature is brillant. When I'm in a hurry it makes it nice to be able to grab and go while getting my kids ready. Rated 5 out of 5 by Kellyannnoe from Absolutely thrilled I got this for my husband. He's the coffee drinker. His favorite feature is the automatic setting. He's groggy when he gets up for work so when his coffee is already made it helps out a smile on his face. My favorite feature is that it holds 12 cups so he doesn't need to get up An star another pit half way through his morning. Works perfectly and is an absolute idolized item in our home. Rated 5 out of 5 by romibabe from Great coffee maker This coffee maker is as much beautiful as it is functional. The black color with the silver trim is very trendy. It is a 12 cup programmable coffee maker. You can set the time on it as well as set it to brew at a certain time. It is very easy to use and the area where the standard filters go along with the water is large to prevent spilling when pouring the water in. The basket comes out to make it easy to empty and clean. It has the feature where it stops brewing if you remove the coffee pot to pour a cup before brewing is completed. It brews quickly and keeps the coffee hot til it is turned off or it also has a 2 hour auto shut off. The only thing that I wish was different was that the cord is very short. Rated 4 out of 5 by rayala427 from Makes coffee! What interested me most about this coffee maker was that it was programmable.I was very much looking forward to that. Somehow instructions on how to set it up was omitted from the instruction booklet but a quick google search let me figure it out. It works like it's supposed to and makes a great cup of coffee. Its a bit bulky but if you have the space then it's not a big deal. I love that it shows the current time and has the sneak a cup feature. That means that you can remove the carafe while it's still brewing and it will stop for thirty seconds while you pour yourself a cup. Just don't forget to put the pot back! Rated 5 out of 5 by elbre101 from Super Hot drinks! I love coffee and tea and with my coffee maker I'm able to do both, it's easy to use and program, directions are easy to ready too. I love that I can use tap water and when I serve my coffee it doesn't have that nasty tap water taste. I program the coffee maker every night to be ready for the morning and it always has my perfect coffee ready. It's really easy to clean which helps a lot because I love to drink tea and I use it to boil my water. Perfect tea everytime. Rated 5 out of 5 by Julbugs from Awesome Coffee Maker I received this coffee maker as a sample and I just love it. The basket is removable and easy to clean. This coffee maker has auto brew which makes life so much easier! I am very happy with this counter top coffee maker that I will be sure to tell my friends. Rated 5 out of 5 by MommaB from Coffee maker that is making me enjoy mornings!!! This "I hate mornings" person is in love. I wake up to the smell of coffee that I programmed the night before. This is the most beautiful coffee maker I have ever owned. Who knew an appliance would turn me into a morning person!The manual was clear and thorough, and the coffee maker easy to use and program. The markings on carafe and tank are easy to read. Easy access to water tank. I no longer have to clean up a mess of water that spilled from hard to access tanks. The basket is well constructed, making the task of making coffee a mess free, breeze. I love the quick brew time - and oh my, did I mention a Sneak a Cup feature that is drip free!!!! My coffee stays at the perfect temperature as I prepare for my day. It is also easy to clean. Bonus points for the automatic turn off after two hours. I can't say I will ever miss the smell burnt coffee when coming home from a long day of work. I highly recommend the Black and Decker - 12 -Cup Programmable Coffee Maker to anyone - especially non-morning people, caffeine addicts! Rated 4 out of 5 by Jp719 from Great features! I've been very happy with this coffee maker over the last month. The programmable feature is great! 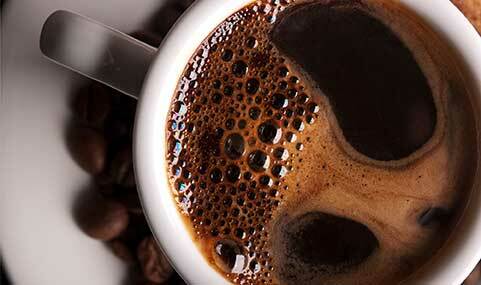 Nothing better than waking up in the morning to a cup of coffee immediately without having to wait! Rated 5 out of 5 by Christa17_81 from Loving it. I have never owned a regular coffee maker before. This one is perfect for me. I love that I can program it to auto brew. Its got cord storage so that makes putting it away so much easier. The sneak a cup feature is also very nice. It has digital controls. I love the 2 hour auto shut off just incase I forget to shut it off myself. The brew basket is washable. It has so many features its hard not to love it. Rated 5 out of 5 by joyzkim from Very easy to Operate....great coffee! I just received my Black & Decker - 12 Cup Programmable Coffee Maker and I love it. It was very easy to set up and the coffee tasted great. I love the feature that you can pull out the pot while it is brewing(in case you can't wait for that first cup)! I would definitely recommend this coffee maker. Rated 5 out of 5 by Kayla91 from Awesome Coffee Maker! I was sent this product for review in return for my opinion and I must say, this is a fantastic coffee maker! It is programmable which is a necessity for me. It also has the sneak a cup feature so no need to wait until the full pot is done brewing. I love it and would definitely recommend! I will always use Black and Decker products, the quality is amazing. Rated 5 out of 5 by KellyR from Fantastic Coffee Maker ! Overall, it works great ! No dripping when pouring. Makes a full 12 cups all the time, I can set up a time for first pot and such. I wish there alarms to indicted cooling off, and other type of reminders. But other than , this coffee is amazing ! I would recommend this to all my friends. Rated 5 out of 5 by Billie37 from Excellent product!! I've been using this for over a week now and I am very happy with this coffee maker. It has many different functions. I love the fact you can preset it and have your coffee waiting for you in the morning. I recommend this product! !